Okay, so I guess you can tell I am in a dipping kind of mood lately. I had an idea for these candy covered cupcake pops and I had to see if I could pull them off. I can’t decide if these look like ice cream sundaes or not. But when I made them I did have cupcakes in mind. Either way, I’m excited about how cute they came out. They follow the same idea as the cake pops (chocolate cake and cream cheese frosting mixed together and covered with candy coating). However, these were a little more difficult to decorate… more steps. I only wish I had a third and fourth hand to take pics of the process when I made them. Next Post Super Bowl Funday? Those are absolutely ADORABLE!!! I love your creativity! Way too creative! I’ve been loving your blog. Lots of cute things/ideas to look at! i wanted to comment again on how i really enjoy seeing you take a concept and play with it. 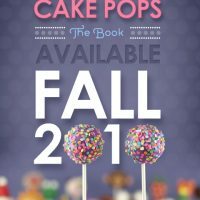 it’s nice to see these cake pops evolve, and i can’t wait to see what you come up with next! my oh my! these are yet another awesome idea. you are so creative!  i wanna make everything you have on your blog. too bad my creative juices only flow on very limited amounts. keep up the good work! 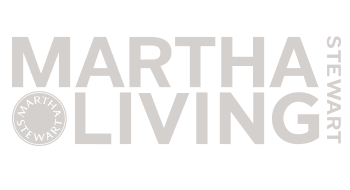 your’s is one of my favorite blogs thus far! So cute…. I must try! They looks like doll cakes for tea time in a doll’s house. Lovely idea. I’m usually hesitant to approve anything described as “adorable,” but how could I say no to these? Very enticing; I can tell you put a lot of care into their creation! How creative, these are just wonderful! 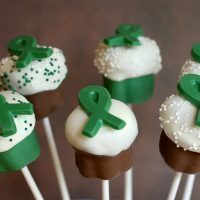 I wasn’t so crazy about the cake-on-a-stick idea before, but now I want to make these! 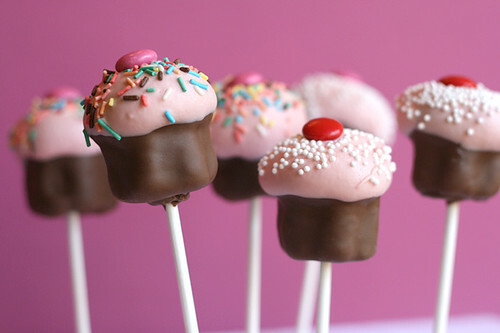 Those are so cute…they totally look like little cupcakes on a stick! I am always envious of others creativity! I am blown away by the beauty of these “pops”. They are so cute and you are sooo inspiring. INCREDIBLE. Those look amazing. Great job!! I was impressed with the cake balls, but these are outstanding! Wow! this is beautiful! 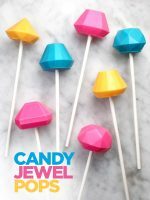 I’m not a baker but i would love to try making these for my little cousins , my question is , WHTA are candy melts? 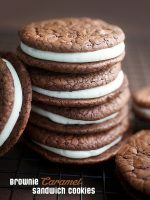 and do you melt them the same way as you would chocolate (for ganache).i wish a method was posted for this , im in love with these little beauties. These are the cutest little things I’ve seen! Did you use a shaped pan for them? Love your pics and blog! Those are the most gorgeous little desserts ever. So creative!! These are ridiculously cute. I can’t wait for an excuse to make them. Kristina – thanks -I’m trying to keep it fun. csquad – thanks again for letting me know. A lot of people wouldn’t take the time. sharyl – thanks so much! 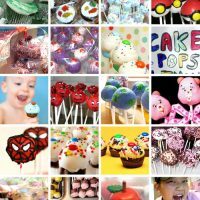 bittersweetblog – Yeah, cupcake on a stick is much cuter. danirose87 – I’m glad you like them. Retro Bakery – thanks. How’s the bakery coming? Brilynn – they were definitely more work. But fun. jai – I used chocolate bark and candy coating (or candy melts) for these. 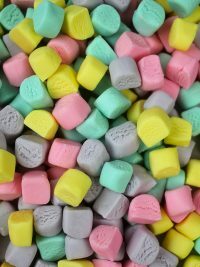 You can find chocolate and white bark at the grocery store and chocolate and some colors of candy melts at craft stores. It’s basically chocolate for dipping or forming in molds. I melt them in the microwave and then dip the items in. I would have posted a photo process, but it was all I could do to focus on making them. Erin C – thank you. ohmindy.com – don’t wait for an excuse. go for it. This picture made me smile. What a brilliant idea. Bakery is coming along. Crossing my fingers to open NEXT WEEK!!!! where do YOU buy your rainbow jimmies? That’s exciting. I found these jimmies at Kroger in the ice cream condiment section. They’re thinner and more pastel than some of the others i’ve come across. Your creativity will never cease to amaze me…this is too cute for words! Those are amazing! So cute! These are absolutely fantastic! I wish I had the talent to create these. GREAT idea — obviously just one of many you’ve had. 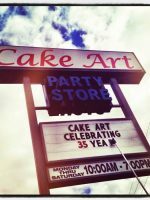 stop over there sometime and share even more “cake” love! I’m making the original Red Velvet Bites right now for a baby shower I’m attending tomorrow. I’m sure they’ll be a HIT! Thanks for the inspiration! You are indeed a very talented lady–wow!!! You mentioned you molded by hand and used a cookie cutter to form the bottoms—I’m still trying to visualize. did you roll them into a round and then pushed cookie cutter up half-way?? What kind of cookie cutter. 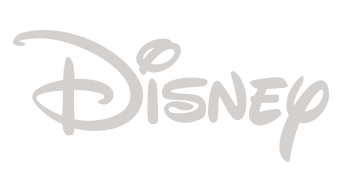 Sorry for being a pest but I’d like to try to do these–I just can’t figure out the shape you start with. these are so great! i love the idea of using a lollipop stick! I can’t get enough of your blog!! I love it- love it. Thank you for sharing so many wonderful ideas. Get out of town! Are you for real??? These look AMAZING!! Jules – you should just give it a try. Worst case, you can still eat it. renman – thanks, I’ll check it out. Nanette – that’s great. You’ll be the hit of the party. jkeeler – you visualized correct. I used a mini metal flower cutter. It was part of an assortment in a tin that I found at Williams-Sonoma. jesse – thanks, it definitely makes them cuter. pjmesser – your very welcome. These are beyond adorable! I love them!! They’re too cute to be eaten! Those are pretty much the cutiest thing ever. Wouldn’t these adorable things put one over the top of the PTA crowd? Cindy. Lo. – thanks, that made them all the more fun to eat. Dayna – that’s a cute description. Oh my goodness!!! FABULOUS! I must try this once- you are very creative! I was so inspired by these little beauties that I had to make them right away. I used chocolate cake mix and chocolate ready-to-spread frosting and they ROCKED. Decadent little bundles of love. 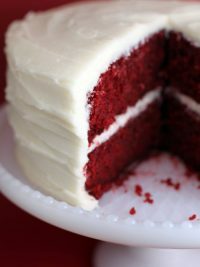 anonymous – try the red velvet sometime, those are yummy, too! these are so adorable!!!! you are so creative! 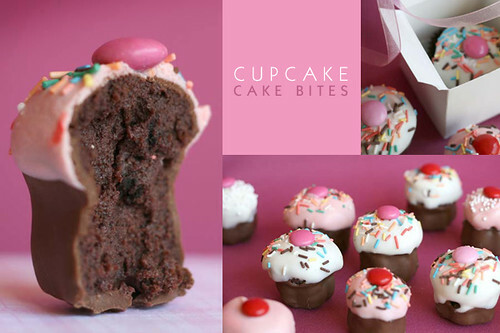 i found your site on cupcakes take the cake. i’m so glad they linked to your site so i could see the rest of your creations. everything on your site is so great! these are so darling! How creative you are!! these are too cute for words. i’ve been on a hunt looking for cute cupcakes to make for my birthday tomorrow and these are just perfect. :) i’m going to try making some tonight! oimgosh you are my hero! my two favorite things combined into ONE!!! thanks for being a cupcake goddess and brining all this goodness to others. maybe strawberry – thanks, I love CTTC. nicole green – cool and happy birthday! oksana – thanks a bunch. I really tried making them but I came no where near cute little cupcakes haha. They were very tasty though, next time they will look much cuter! Amazing! I have to try these! these look delicious and fun. i’m making them for a party on saturday night. Karen – hope you do. flyingdutchman – they’ll be a hit! 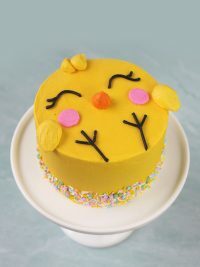 Hi Bakerella – I came across a thread on Cake Central which lead me to your site. All I can say is “incredible”!!!! These little cupcakes are so attractive. I stayed up last night making my grocery list to purchase everything I needed to make them today but I need a little more instruction on the shaping. Is there anyway you can describe the process in detail or even post a few pics? I really want to make these for Valentines and send them to work with daughter. Even thought I’d place the sticks into a read heart shaped vase I found at Michaels. Thanks for youre reply? The shaping is pretty simple. Roll into compact balls using your hands and chill in fridge for a while. When chilled, take a small flower cookie or round shaped cutter (almost an inch tall)and push part of ball through. Form a mound with the part that is still sticking out. Then just push the shaped ball back out from the bottom carefully. And touch up the shape using your hands. Return them to chill for a while before dipping in chocolate bark. 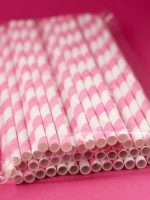 And if your making lollipops, you can go ahead and insert sticks, too. Hope that helps a little. Thank you for the details on constructing these little goodies. I noticed from your picture you dip the entire item in dark chocolate first, then after it hardens dipping into the pink melts – great idea! 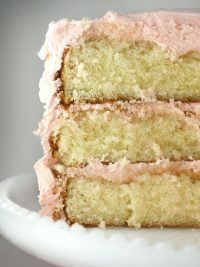 On a separate note, I love your photography on all your baked items – is photography your 2nd passion next to baking. You do wonderful work on that as well. Found you through hostessblog and all I can say is CUTE. 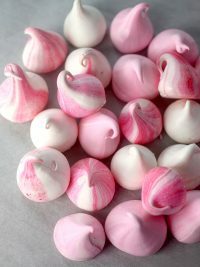 I’m more into decorating than baking but may have to try these for a The Sweetest Thing shower I’m throwing soon. So, so cute! I LOVE THEM!!! Now you have me tempted to try something like this for Valentine’s Day. These would make great wedding favors! I love them!!! You are just so creative! Genius!!! They look so delish! cookie4 – Thank you. I do like taking pics almost as much as creating the subjects.  amy stem, cyndi & lee, melissa & sharp lily – Thank you! These are “The Cutest”! I love it!! 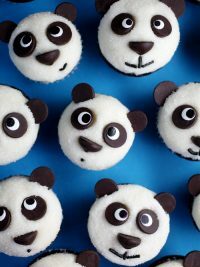 These have got to be THE MOST ADORABLE piece of edible food I have EVER SEEN~!!!! AMAZING!!!!!! these are the fridt thing I saw this morning (via How About Orange.) I cannot think of a better way to start my day. these are phenomenal. I’ve just seen these on How About Orange – they are gorgeous! ana, cindy, we are not martha (cute), elizabeth, and florence – thanks so much! I’ll definitely have to visit How About Orange. These are the cutest! So glad I found your blog! Actually all of the posts I have seen so far are super clever! I am new to this blog and wanted to tell you how cute these are. I also wanted to say I tried them,freezing was very important. I also added a little something I pressed a fork tines into the bottom edges and it gave even more of a cupcake paper look. The only problem I had at all,was the heat of the second coating(frosting,on cupcake)Wilton candy melt disks seemed to make the first coating of chocolate run a bit on the pink topping. I think practice will help. I will try to send some pics. clare anita – I’m glad you tried them. They’ll be easier next time. This is great! I can’t wait to try it. Bakerella – how did you shape the cupcakes? Did you have a mold? Any tibits of info you can share with me before I try it this weekend? 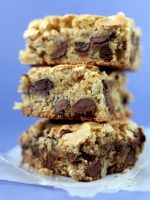 If I make these ahead of time (a wk before my son’s birthday party), can i freeze them ready-made for a week and defrost them before serving? Thank You Bakerella!! My son’s 2nd Birthday is coming up and I’m going to have to incorporate these into his cake. I’m thinking tiers of cupcake pops (pushed into styrofoam like you displayed) and then a mini cake on top for the Birthday Boy! Anyhow, thank you for the fabulous inspiration (and major kudos for always answering the comments…WOW, that must take some major time seeing how popular you are!) Best Wishes! Anonymous – Just roll into compact balls using your hands and chill in fridge for a while. When chilled, take a small flower cookie or round shaped cutter (almost an inch tall) and push part of ball through. Form a mound with the part that is still sticking out. Then just push the shaped ball back out from the bottom carefully. And touch up the shape using your hands. Return them to chill for a while before dipping in chocolate bark. I know they will last in the fridge or an airtight container for several days, but to be honest, I have never frozen them. The whole batch is always eaten. Jen – You’re welcome and I hope it turns out fabulous for you! these are adorable….ill have to try. I’ve read your instructions on how to mold the cupcake shape– I can’t follow what you mean. Can you explain it any differently! You are so creative, I enjoyed looking at all of your creations! I know – 75 people have already told you how great this are! But I also have to say it – they’re the cutest cupcakes ever!! thanks hellooo gorgeous and mommysecrets! Anonymous … I’ll try. it is hard to visualize. I’ll have to do again with pics. But here goes. push mixture through gently and fill the shape of the cookie cutter. Not all will fit in, so the rest sticks out of one side and you can form it into a mound with your fingers or the palm of your hand. Then turn upside down. Sometimes, it will slide right out. If not, push it out very gently from the bottom using your fingers. Rotate and push using your finger so it comes out evenly. Then set it right side up and chill for a little while before dipping. i love these little pops. they are so super cute. Thank you spo much for taking the time to explain it again– that helps alot! Just happened upon your blog and I love all of these great ideas! 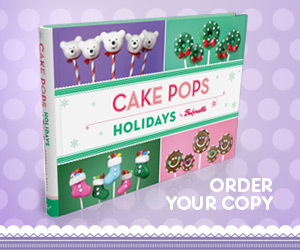 Can’t wait to try the cakesicles. red lotus mama – thanks! so who am I? Hope you get a chance to try. 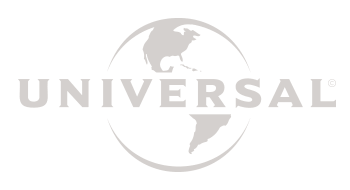 anonymous – Thank you, I’ll have to visit them. Jennifer – after you mix the cooked, cooled cake and frosting and it has chilled. You could probably take some of the mixture, flatten it on a cookie sheet aa little and use a car shaped metal cookie cutter. (almost an inch high) Then you’ll have to use your fingers to push it out of the cutter carefully. Without trying first, that’s what I think might work. Also, keep your shape should be on the smaller side and a simple side. Hope that helps some. these have got to be the cutest things i’ve ever seen! my husband was in the room when i discovered your little cupcakes and he kept on laughing at me because i kept repeating “oh my gosh, these are so cute!” over and over again. i can’t wait to make them. I’m not much of a baker (at all) but I want to attempt to make these….where can I (where did you) find a flower shaped cookie cutter? and the purpose of its use is to help me make the mound? I really hope that next time you can take a picture of that process. I’m much more of a visual person and that part of the process is stumping me. I LOOOOOVE your blog. I am amazed at how cute these are! I am picturing these stuck into a cute glass scattered across the table at my daughters 1st birthday party and LOVING it! Thank so much for the great idea. Hopefully I can make them a cute as yours! Stella and Mark Coomes – I found it at Williams-Sonoma, but I’m not sure if they still sell them. I used it to form the bottom part of the cupcakes. Next time, I’ll give pics. But it was actually the first time I had made these and I didn’t know they were going to be such a big hit. Sarah – that sounds fun! Dianne Young Erwin – The shaping is pretty simple. Roll into compact balls using your hands and chill in fridge for a while. When chilled, take a small flower cookie or round shaped cutter (almost an inch tall)and push part of ball through. Form a mound with the part that is still sticking out. Then just push the shaped ball back out from the bottom carefully. And touch up the shape using your hands. Return them to chill for a while before dipping in chocolate bark. Wow! I love it! just wondering what you use for molding it into a cupcake. I was at hobby lobby this weekend and found a small flower cookie cutter like the one you described. It came in a set of 6 and was 19.99, but with the 40% coupon was worth it. Bakerella: No need to repeat yourself on how you form your cupcake shape. I just read all the comment that other people have ask you…Now I know how to do it…Thanks again and God Bless for sharing. can’t wait to see the step by step photo next time. Anonymous – glad you found what you needed. Stella and Mark Coomes – I used chocolate cake and cream cheese frosting for the pops. You can use any flavor combo you like. The bark I buy is like small bricks of chocolate. It also says candy coating on the package. justin – great deal! Sounds like you probably found the right one. They are metal if I didn’t mention before. BakerElla: Instead of step by step pictures, can you post a “YOUTUBE” on how to make it instead? Just an idea…. Bakerella you are so talented!! I’m going to give the cupcake lollipops a try this weekend. I hope it works! It looks really difficult. And I must say that these are stinkin’ cute and I am going to make them soon! Thanks for sharing! Anonymous – I thought about that. I might try it. Jacqueline – I hope it works for you too. I’ll be waiting for your “youtube” post if and when you decide. Another question for you…after dipping the cake balls, did you stand them up in styrofoam or something else? I can’t figure out where to put them without lying them down and then having a flat side. 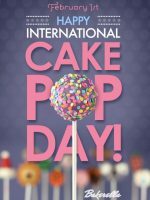 It’s National Cake Pops Day!